I am OBSESSED with this book. Not only was it my first self development book in a while, but it was also my first audio book experience. 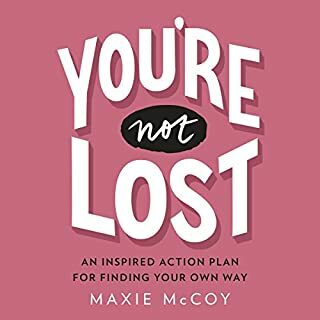 I absolutely loved having Maxie in my ear, hearing her voice navigate through the chapters and PDF workbook. I listened once in a day, and completely plan on listening again later in the week and actually complete the workbook (I didn't fill it out the first time). Anyway, this book is great for anyone who is interested in taking themselves to the next level and feels scared to do so. It's funny, current, and she makes some pretty great points that are hard to ignore. Love.